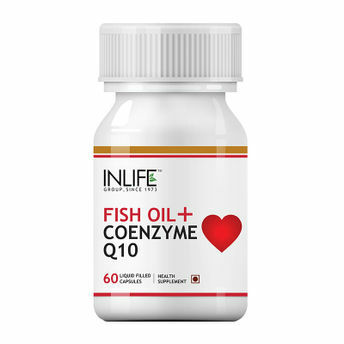 INLIFE Fish Oil with CoQ10 capsules, a rich source of omega 3 fatty acids is a splendid combination known for its antioxidant support and highly helpful in maintaining immune and heart health. Fish oil naturally contains the active forms of omega 3 fatty acids. Our body cannot produce these fatty acids hence it is consumed through diet or supplements. 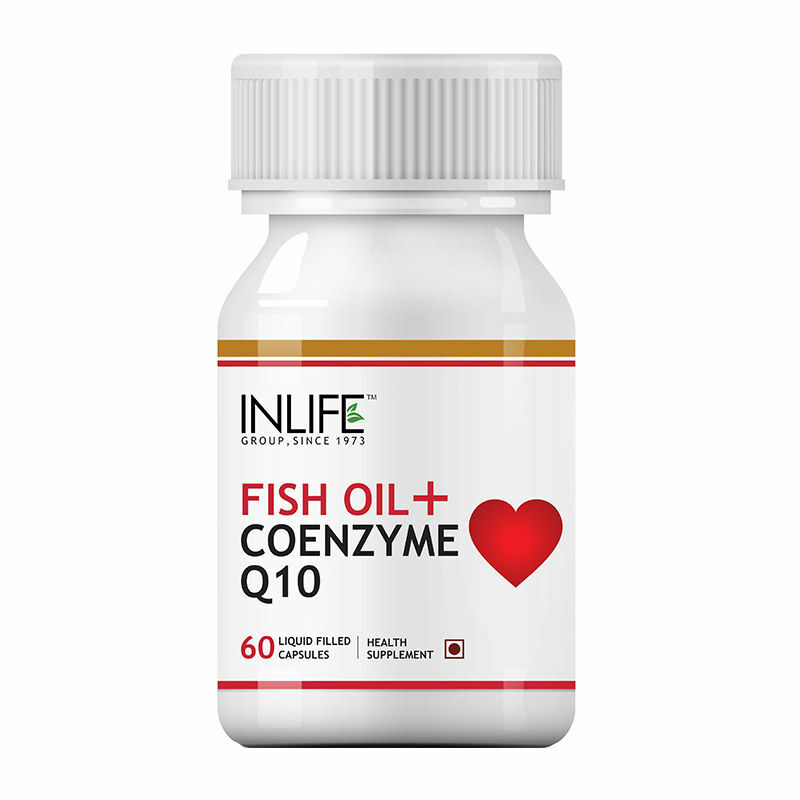 Coenzyme Q10 is an essential compound for energy production. It is a vital enzyme found within every cell of our body and converts food into energy. About the Brand:INLIFE Healthcare, strives to excel human lives by bringing about high quality and scientifically validated nutritional health supplements. All the supplements are made with natural ingredients to provide an improvement in the wellness of life, health, and fitness. The brand stands by every quality product they make. They manufacture only premium and extra pure but high potency vitamins, capsules, tablets, powders, multivitamins, supplements and natural herbal skin & personal care products for men, women, and children. Check INLIFE Healthcare out today!